The third motion picture in the Hunger Games franchise will hit the library in March, but you can reserve your copy today. Watch Katniss as she takes on the Capital in this action packed dystopia phenom. Mockingjay Part 1 was released into theaters November of last year and has 333 million dollars in sales in the United States! Due to the high demand of this title, the Davenport library has ordered 30 copies on DVD and will order 3 additional copies on Blu Ray when they become available. The quickest way to get a copy of this title in your hands is to place a hold in the online catalog as soon as possible. Once you make a hold, your name will be added to the list of holds. A copy of this title will be sent to the Rivershare library location of your choice when it is your turn. Don’t want to wait your turn? Well you are in luck! When the library can anticipate a high demand for a title, we set aside what are called BROWSE copies. These are copies of a title that live only on the New shelves. They cannot be reserved. Every time you visit the library check out the New Books and New Movies shelving to see what BROWSE items are on the shelf. They will have a green tag that says BROWSE. 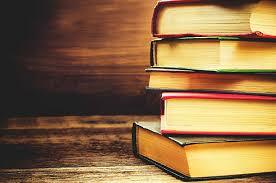 You might just get lucky and find that Mockingjay Part 1 is sitting on the shelf. 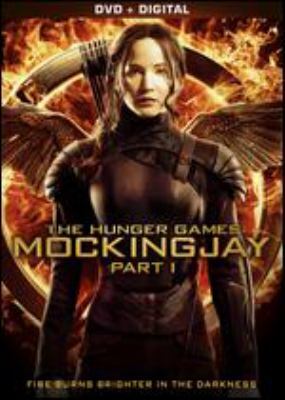 Also available at all three Davenport libraries are the The Hunger Games and Catching Fire, the first and second movies in the franchise. The Verdict: Mockingjay will not disappoint! Three yeas ago I was one of the many Katniss crazed readers that devoured all three Hunger Games books in the weeks leading up to the first movie release, and I have patiently waited year after year as each new movie slowly hits the big screen. Mockingjay was great! The movie follows the book well but includes insight to things happening in other districts that aren’t as clear to visualize while reading the first person perspective of Katniss in the books. Award Watch: Jennifer Lawrence (Katniss) is nominated for best actress in an action movie by Broadcast Film Critics Association. For a list of other awards and nominations visit IMDb Mockingjay. Fun Fact: Jennifer Lawrence also plays the mutant Mystique in X-Men First Class and X-Men Days of Futures Past and won an Oscar for Best Performance by a Female Actress for Silver Linings Playbook in 2013. Django, a former slave turned hired gun, heads back to the plantation to free his wife, Broomhilda, from the tyrannical plantation owner Calvin Candie, with the help of a German bounty hunter, Dr. King Shultz Rated R.
A look at the lives of Pete and Debbie a few years after the events of Knocked Up, the 2007 comedy. After years of marriage, Pete and Debbie are approaching a milestone meltdown. As they try to balance romance, careers, parents and children in their own hilarious ways, they must also figure out how to enjoy the rest of their lives. This Is 40 is a candid and heartwarming comedy about the challenges and rewards of marriage and parenthood in the modern age. Rated R.
In early 19th century France the paroled prisoner Jean Valjean seeks redemption, regains his social standing, and rises to the rank of mayor. He encounters a beautiful but desperately ill woman named Fantine and cares for her daughter, Cosette, after her death. All the while he is obsessively pursued by the policeman Javert, who vows to make him pay for the crimes of his past Rated PG-13. Based on a true story of a family caught, with tens of thousands of strangers, in the mayhem of one of the worst natural catastrophes of our time. But the true-life terror is tempered by the unexpected displays of compassion, courage, and simple kindness that Maria and her family encounter during the darkest hours of their lives. Rated PG-13. Los Angeles, 1949. Ruthless mob king Mickey Cohen runs the show in this town, reaping the ill-gotten gains from the drugs, guns, and if he has his way, every wire bet placed west of Chicago. And he does it all with the protection of not only his own paid goons, but also the police and the politicians who are under his control. It’s enough to intimidate even the bravest, street-hardened cop, except for the small, secret crew of LAPD outsiders who come together to try and tear Cohen’s world apart. Rated R.
The plan for a quick stop at Mom’s takes a turn when an impulse compels Andy to invite his mother, Joyce, on a three-thousand mile cross-country journey. But the further they go, the closer they get, and Andy realizes that they have more in common than he ever imagined. Rated PG-13. Based on the bestselling book by Matthew Quick, the riotous and poignant story of how a man who has lost everything, his house, his job, his wife, reconnects with himself and creates his own silver linings from the bonds he forms with his family and friends. Rated R.
Seven years after being forced to resign as a New York city police officer, private detective Billy Taggart takes on his toughest case yet when he’s hired to follow the mayor’s wife. By the time the mayor reveals his true intentions, Taggart’s already in too deep, with his freedom and possibly his life, on the line. Taggart will risk it all in a desperate bid to expose the truth and seek redemption in a city where second chances don’t come cheap. Rated R.